We at Ninja Parc want to see people of all ages and abilities having fun together. With the rising popularity of obstacle events, we sought to create a place where you could have fun with no intimidation or pressure to go outdoors, and to offer the affordability needed to be able to participate regularly. Ninja Parc and its indoor obstacle course was conceived by John Pirlo in 2016. John has spent more than 20 years in the health and fitness industry and is an avid campaigner for the importance and benefits of movement. This belief in movement and making it as fun as possible as opposed to being a chore is what inspired the inception of Ninja Parc. Ninja Parc is inclusive of all. 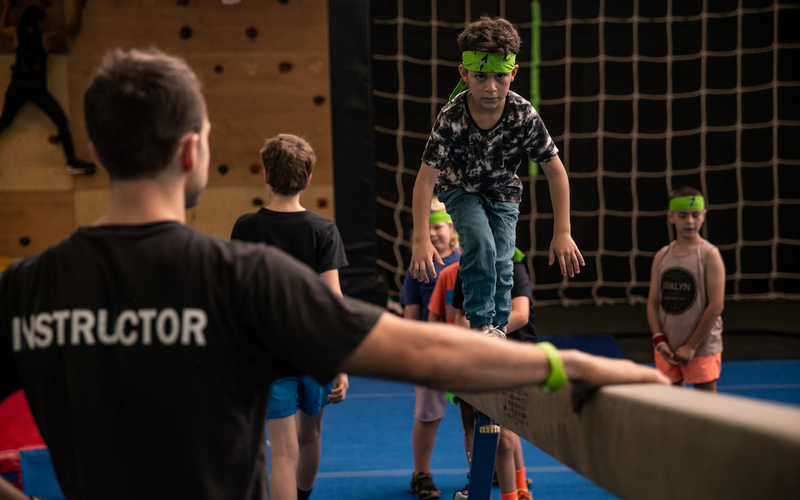 John and the team behind Ninja Parc have and continue to work hard to ensure that people of all ages and ability can enter the indoor obstacle course and enjoy the experience. It is now our mission to spread the joy and benefits of Ninja Parc across the country. Ninja Parc has options for all. You can enter just for fun on a casual basis, learn something new or get some exercise with one of our classes, host a kid’s party, or sign up because you want to race seriously in a Ninja Race. It’s up to you! It’s safe. It’s fun. It’s addictive. At Ninja Parc you can walk, run, jump, hang, swing and fall with minimal risk because we have soft-fall padding everywhere. Even though we’re about fun, we do take your safety seriously. You will be inducted on how to use the course so you know how to move through each obstacle properly. Our indoor obstacle course also has specific safety checks which are completed daily, weekly, monthly and annually to ensure all equipment is up to standard.